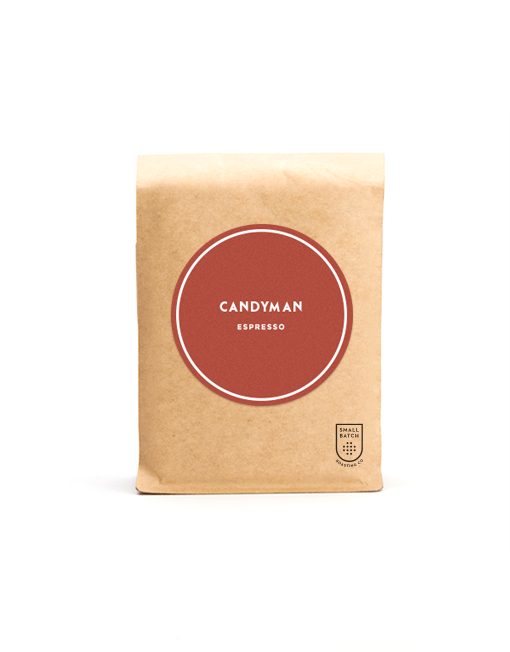 Candyman Espresso Blend | Small Batch Roasting Co. This is the Small Batch espresso blend. A combination of our favourite in season coffees put together to create sweet balanced espresso, with or without milk. The components are constantly being tweaked to get the best possible balance of flavour. We strive for perfection in our product, so there will be slight variation from time to time. 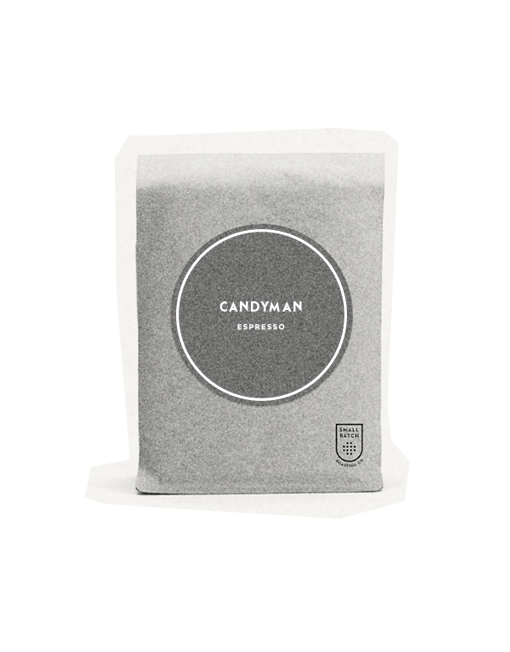 If you would like more info on the coffees in Candyman, please contact us here. For more info on brewing your coffee for maximum enjoyment, check out the Brew Methods page. 250g – whole beans only. Roasted for espresso brewing purposes.